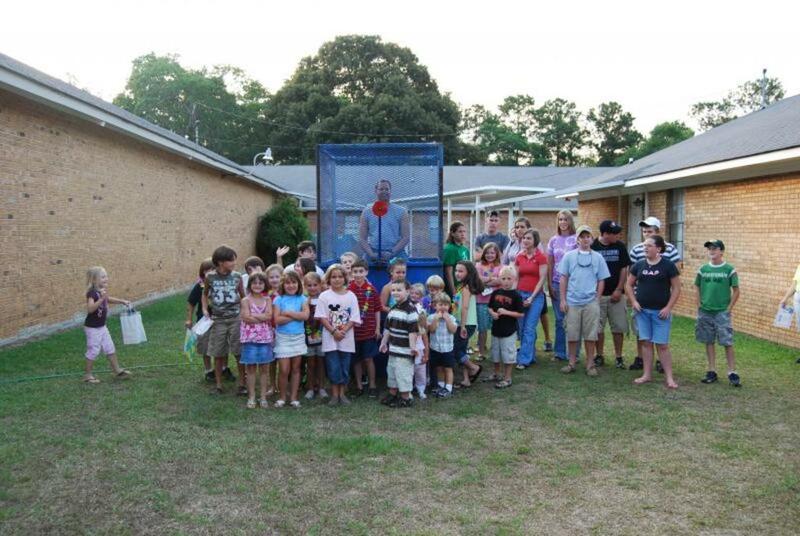 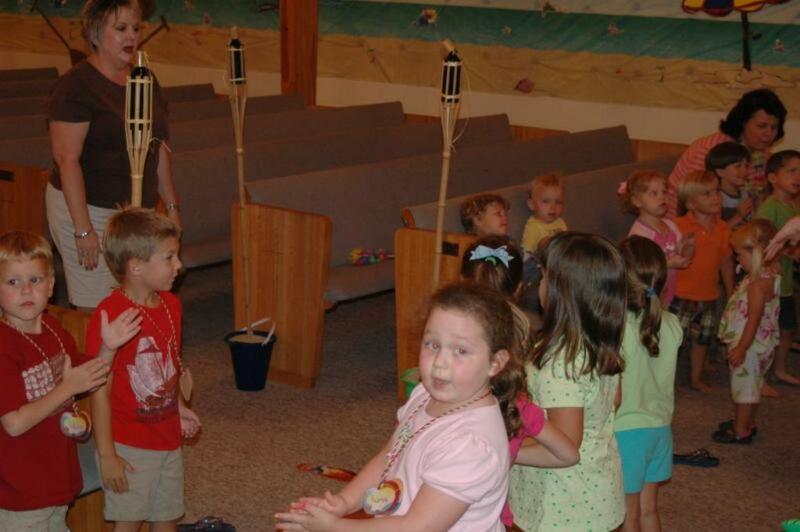 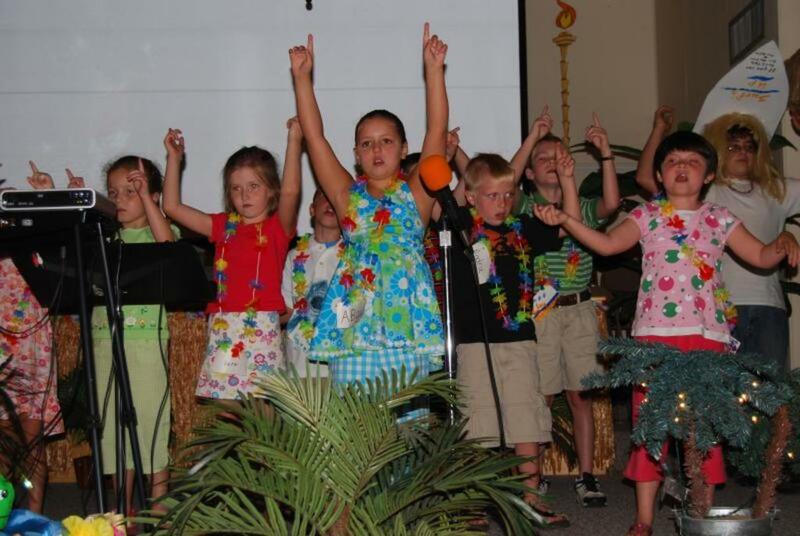 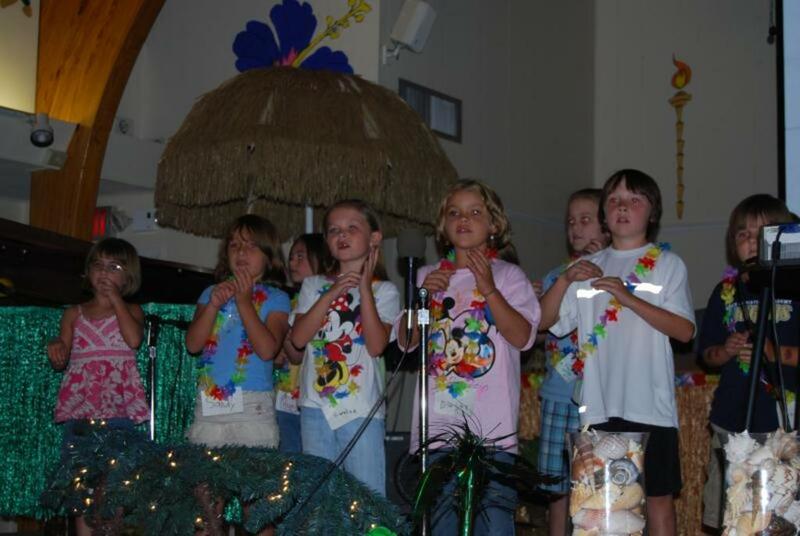 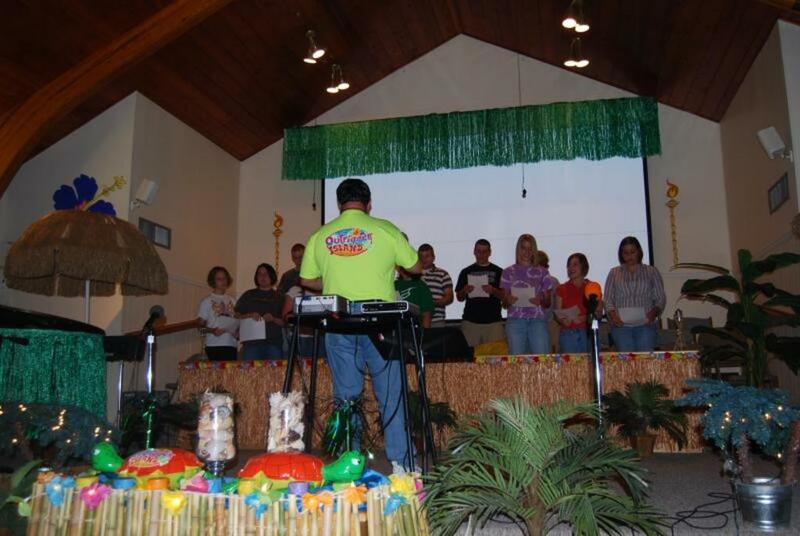 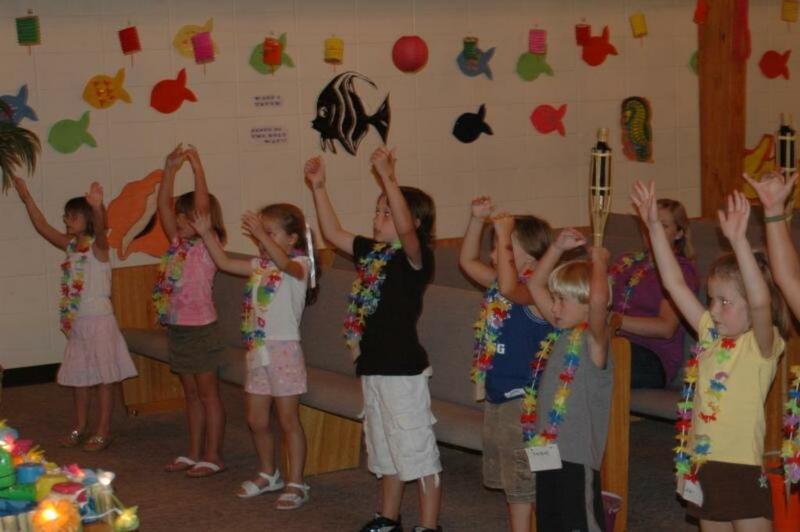 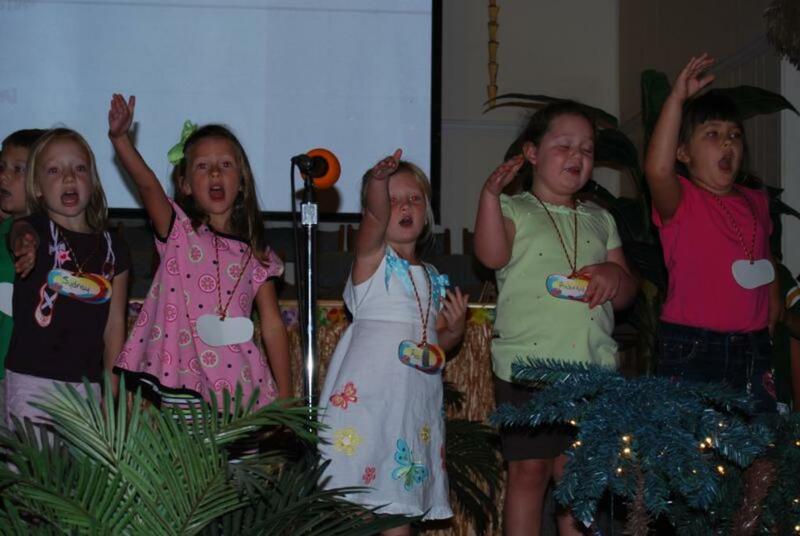 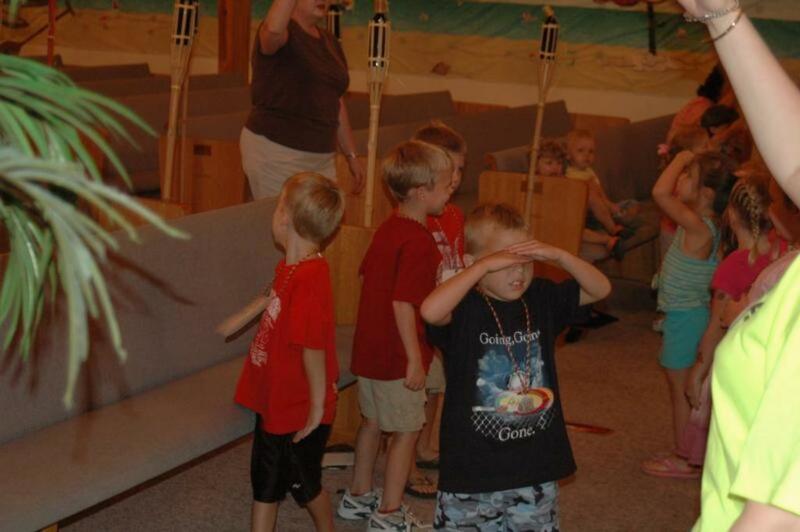 Outrigger Island was the theme for 2008's Vacation Bible School. 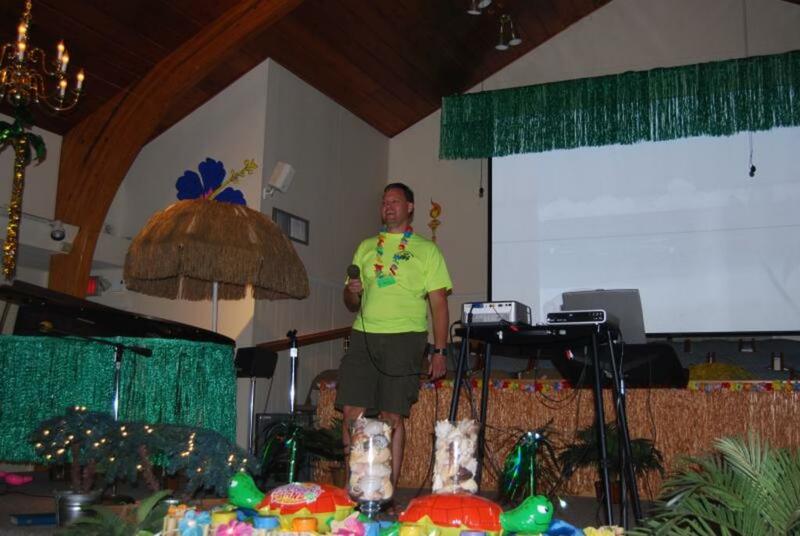 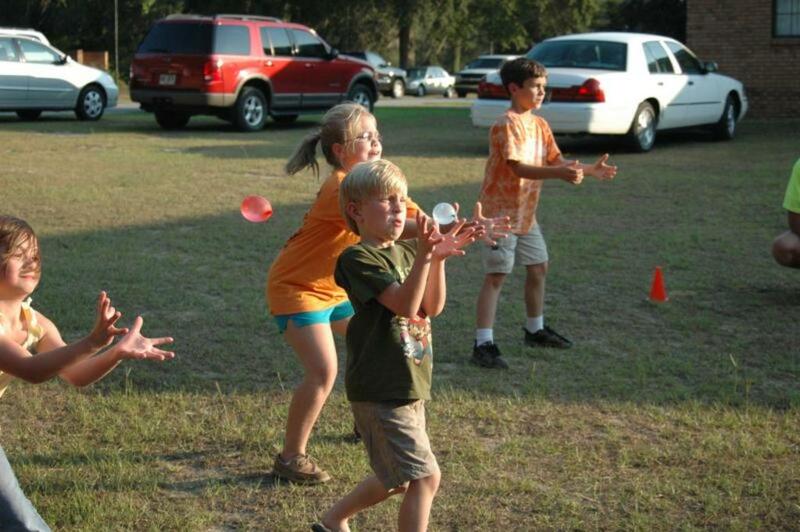 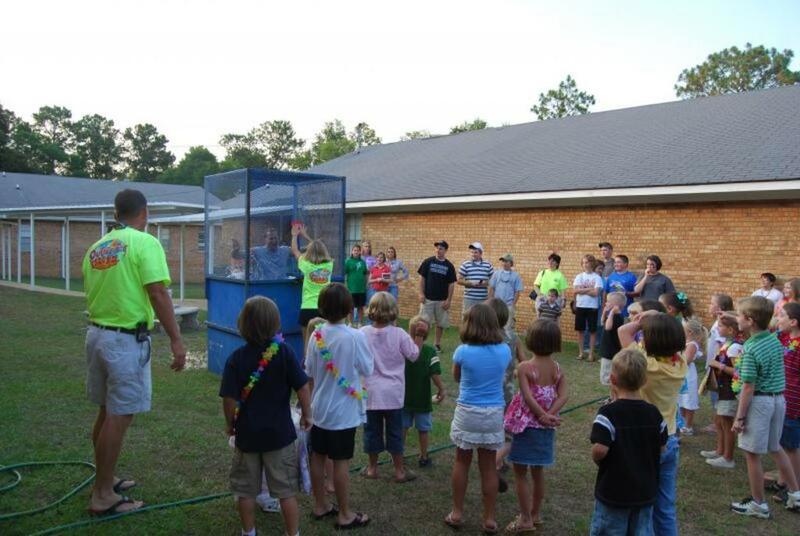 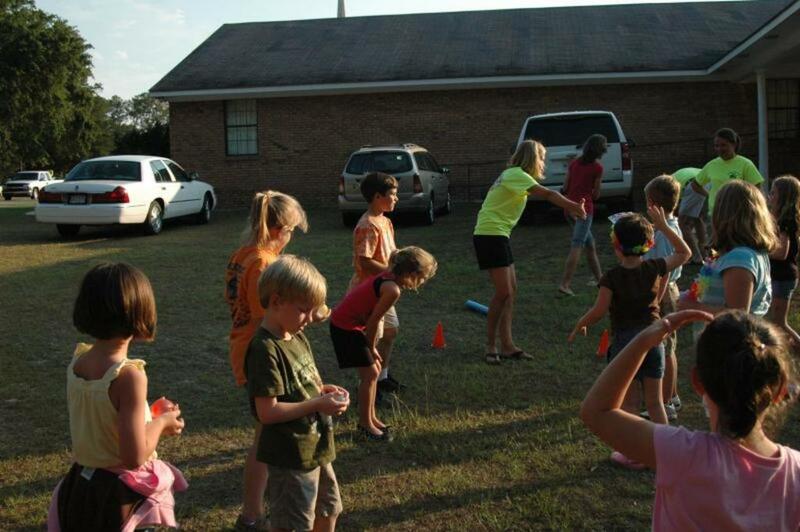 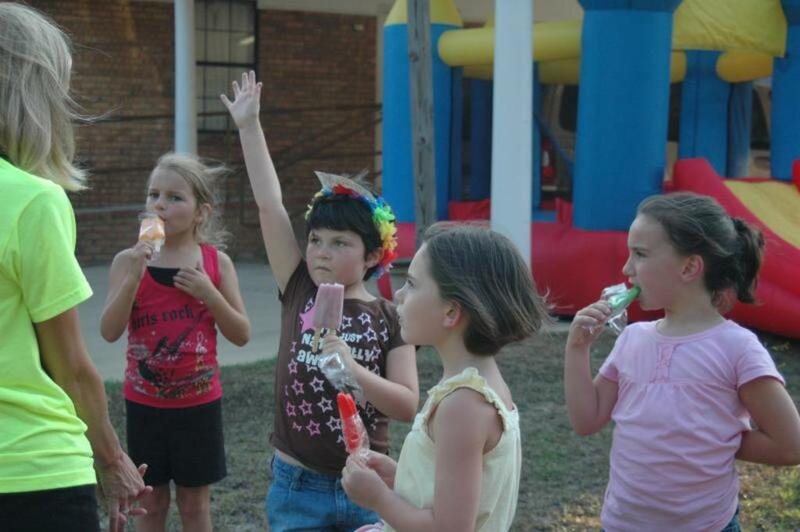 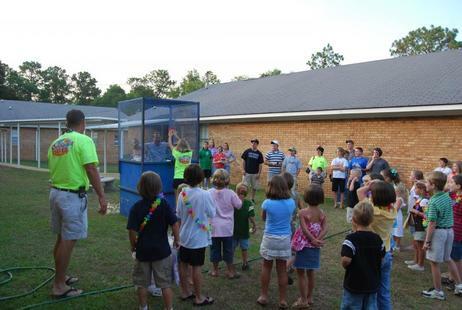 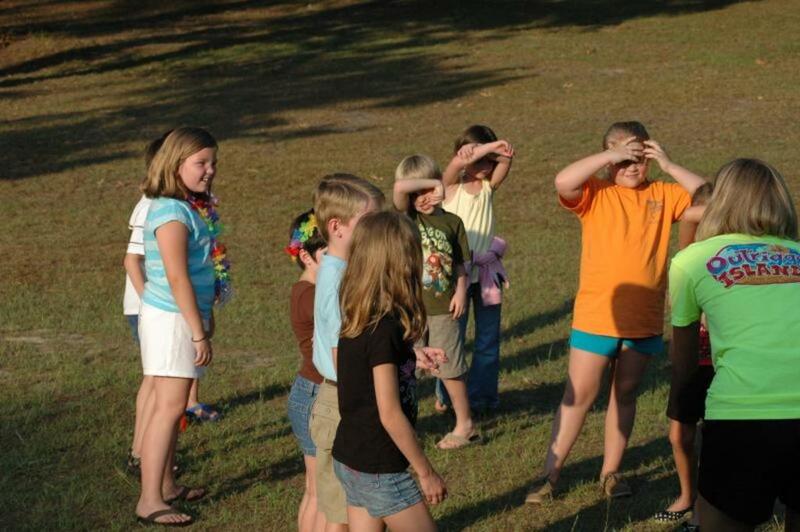 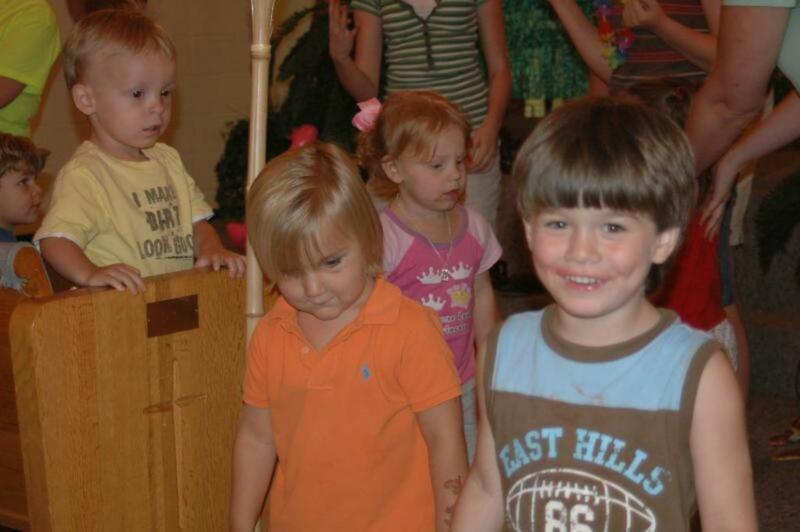 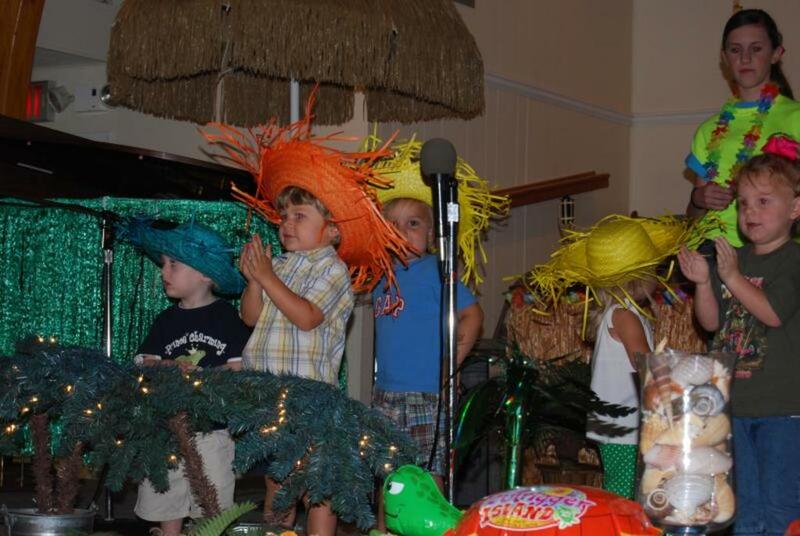 Island hop with us as we review the activities and fun of VBS 2008. 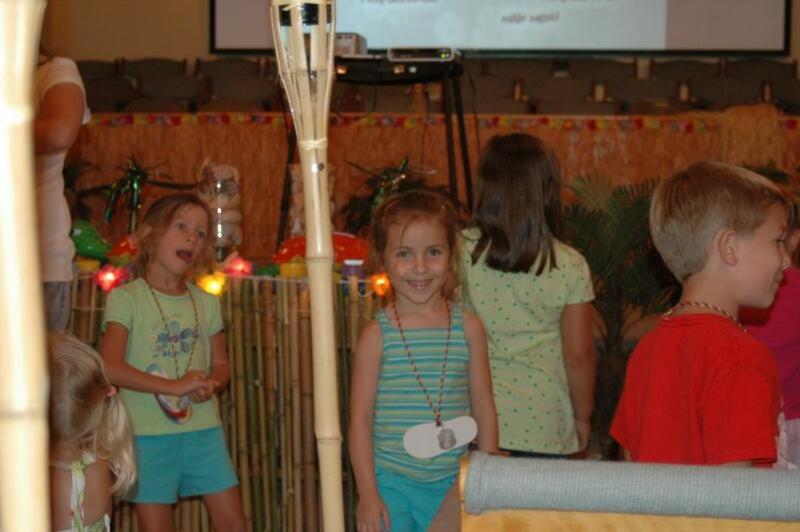 Watch our VBS videos under Info Center. 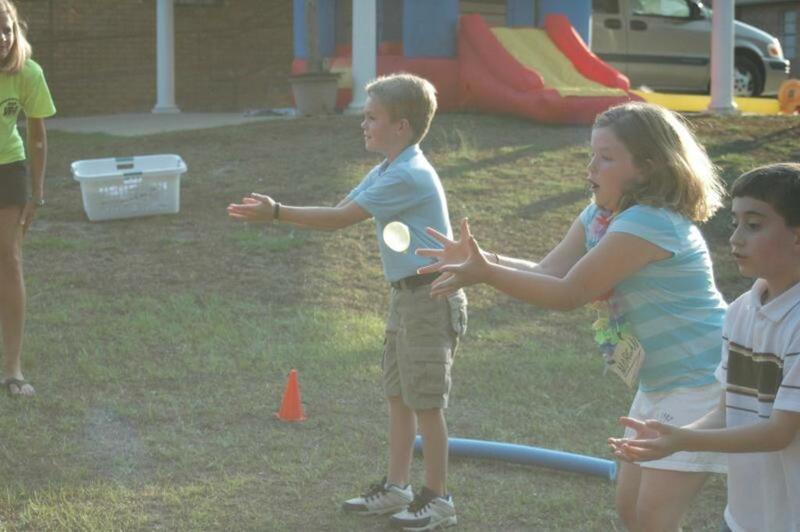 Mrs. Gina could not hit the target with the ball, so she improvised.